The UPRIGHT GO posture trainer is a unique, smart personal trainer that works by itself or with an app on your iPhone or iPad to help you improve your posture. The discreet device attaches to your back and helps detect when you're slouching. UPRIGHT GO's goal is to train you to achieve and maintain perfect posture. Having good posture or upright posture can help decrease neck and back pain and boost productivity. And by wearing the UPRIGHT GO, you can maintain a consistently correct upright posture through daily posture training—creating a lifelong habit. Designed for all day wear, UPRIGHT GO is an inexpensive solution that fits with any lifestyle to correct and prevent poor posture. Its slim, elegant design easily attaches to your upper back and employs a sensor that uses a learning algorithmic model to detect your body’s movements, upper body position, and other postural nuances. It emits a gentle vibration whenever you slouch, helping to train you to sit or stand with correct upright posture. 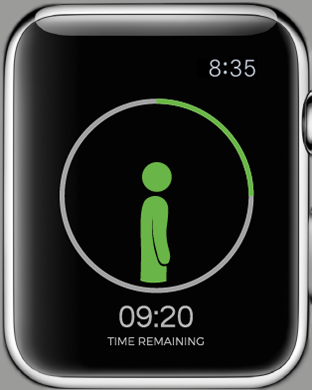 You can also put the device into Tracking Mode to record posture data without emitting vibrations. UPRIGHT GO also offers Instantaneous feedback and personal training programs, as well as an excellent in-app customer care team that helps motivate you to achieve your posture goals and decrease back pain. *Adhesives may last several weeks with proper cleaning and maintenance before needing to be replaced. Adhesive won’t keep it in place - lost it first day. I was very excited to invest in this product, and wore it for the first time today. Unfortunately it fell off at some point during the day without me even knowi I was very excited to invest in this product, and wore it for the first time today. Unfortunately it fell off at some point during the day without me even knowing it and is gone forever. What a waste of money. I’m very sad. And for clarity, I did put it on dry clean skin in the upper middle of my back as shown in the directions. It just isn’t made to stay on. Is this review useful?Adhesive won’t keep it in place - lost it first day. The Upright Go definitely helps me retrain my posture. It buzzes, and keeps buzzing, until I stand up or sit up correctly. My first day, I had very poor stati The Upright Go definitely helps me retrain my posture. It buzzes, and keeps buzzing, until I stand up or sit up correctly. My first day, I had very poor statistics, but slowly, my posture is improving and so is my pain level. I'm even seeing improvement in my stomach and bowel problems that have been plaguing me for almost 2 years. I definitely recommend this product - you have the ability to see improvement immediately and keep improving daily! Excellent for improving posture. This device is making me more aware to stand up straight even if I don't have it turned on to alert me. The tracking system onl Excellent for improving posture. This device is making me more aware to stand up straight even if I don't have it turned on to alert me. The tracking system online is very useful as well to help me assess when I'm more likely to slouch or have rounded shoulders. It really is a wonderful tool and I highly recommend it to anyone with posture issues. I purchased the Uprightt Go for my teenage daughter and overall her experience has been terrible. The Upright Go does not stay in place. We’ve tried replacing t I purchased the Uprightt Go for my teenage daughter and overall her experience has been terrible. The Upright Go does not stay in place. We’ve tried replacing the adhesive several times, and the Upright Go still manage to fall off to the point where she’s almost lost it a few times. It would make for a great product, if only we could get it to stay in place. I received this device as a gift for Christmas. It's been one week and I love it. It paired quickly and easily with my iPhone and had no problems with the app. I received this device as a gift for Christmas. It's been one week and I love it. It paired quickly and easily with my iPhone and had no problems with the app. My posture is terrible so the first day (the easiest setting) was quite difficult, I had trouble standing straight enough to satisfy the device and it was a bit frustrating. But the second day I could already feel my body learning how to stand straighter. I can sometimes feel my back muscles being tired or slightly sore, which means it is working! I don't know how long the effects will last, whether I will truly learn this habit in two weeks... only time will tell if their training mode works for me. But I greatly enjoy the tracking mode which tells what percent of the day I am standing straight, and I can watch myself improve (or catch when I am slouching too long and make a correction). Highly recommend to anyone who wants to deliberately improve their posture. Well heck, I slouch ! Is this review useful?Well heck, I slouch ! Will it help with my neck posture specifically? Will it work if you have Scolosis? Can you use upright go while you are pregnant? After you bought it, is there a fee to use the UpRight on their app? NOTE: This app is suitable only for the UPRIGHT GO device (and not for the UPRIGHT PRO). The UPRIGHT GO is worn discreetly on your upper back and provides you with immediate posture feedback. In TRAINING mode, the GO gently vibrates when you slouch, to remind you to maintain an upright posture. The vibration can be easily customized to best fit your personal lifestyle and prefere nces. In TRACKING mode, the GO keeps track of your daily posture habits without vibrating. Through the UPRIGHT GO mobile app, you will be guided with tutorials, and you will be able to track your progress and view your daily statistics. 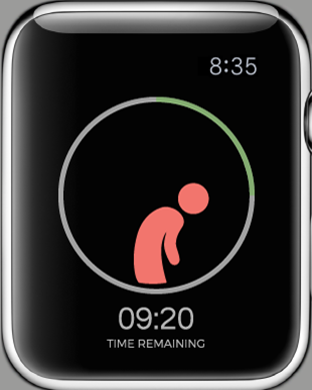 The app features live monitoring of your posture status, using an animated character. The app generates a personalized training plan customized to meet your individual needs. A training plan includes a set of daily training goals. Each goal represents the recommended time for you to train each day. The app also writes your workout data to the Health app (HealthKit), to enable integration between workouts and Upright training.